Projects supporting families most in need across Northern Ireland are celebrating today as they share in funding worth almost £3.4 million from our Supporting Families programme. TinyLife is one of five projects awarded grants totalling £3,387,546 from the programme. The group received £619,250 to work with parenting charity Lifestart to deliver the five-year Tinystart project to help families cope with the often traumatic arrival of a premature baby. The project will deliver a range of support for children up to three, including parents groups, child development activities, home visits and baby massage for families in the Belfast, Western and South Eastern Health and Social Care Trust areas. Ciara and John Kennedy from east Belfast received support from TinyLife when their now 19-month-old triplets Jack, Harry and Oliver were born prematurely at just 30 weeks in June 2013. 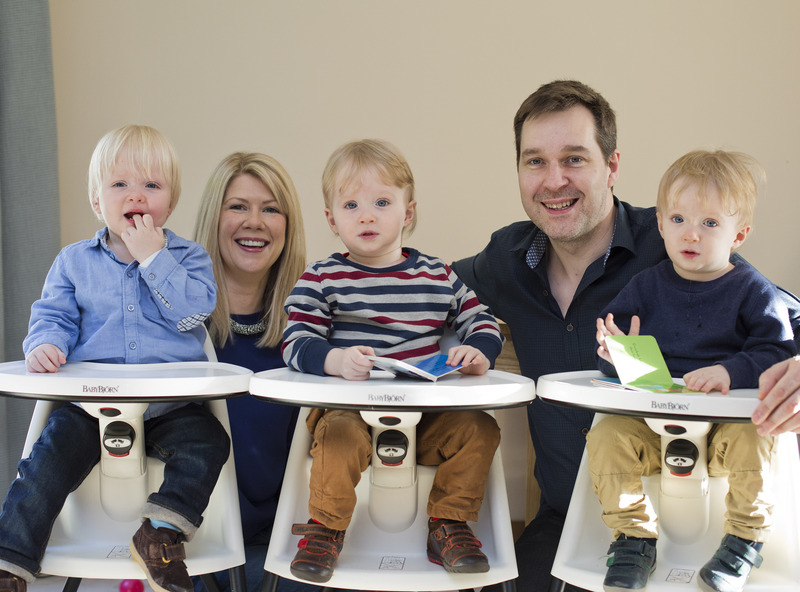 When the triplets were strong enough to come home – Jack at five weeks with the other two boys at seven weeks – TinyLife had already arranged for two volunteers to visit the family twice a week, which Ciara said made such a difference. Buttle UK has been awarded £669,298 for the five-year Kinnections project, which will support children across Northern Ireland who are being cared for by wider family and friends. It will work with Kinship Care NI to provide a range of support for children and their carers including essential household items, support groups, information sessions and group activities. Barnardo’s also received £699,618 for a project that will help isolated black and minority ethnic families in south Belfast to support their children’s learning and feel more part of the community. They will work in partnership with Ulster University, South Belfast Sure Start, Fane Street Primary School and Holy Rosary Primary School to develop families’ skills including language, literacy and communication. Rural Area Partnership in Derry (RAPID) has been awarded £700,000 for the Community Help in Learning and Development project. The grant will help rural families to gain the skills and confidence to cope with family life and give their children the best possible start in life. Activities will include literacy classes, homework clubs, health and wellbeing workshops for pregnant women, and mother and baby activities. Mind Wise New Vision has also received £699,380 for a project to give families the skills to better support children with mental health difficulties. It will work across the Western and Southern Health and Social Care Trust areas. The Supporting Families programme has now closed for applications.